The boarded appearance of Cottage style doors has traditionally complemented barn conversions and cottages alike. Although perfect for this type of dwelling, the aesthetically pleasing boarded style has become one of the UK’s most popular door designs, suiting modern settings too. All of the JB Kind White Cottage Internal Doors are supplied white-primed with the option to paint them your preferred colour. JB Kind White Cottage Doors have a copy of the manufacturer's instructions included in the packaging. - We cannot cancel or exchange any JBK Door after order - JB Kind White Cottage Internal Doors are supplied as a Special Order. 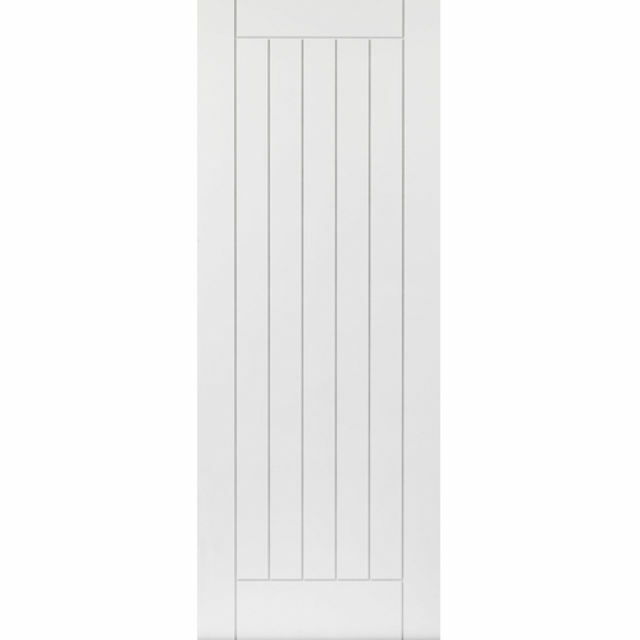 JB Kind® White Cottage Internal Timber Doors can be bought online - Select the White Cottage Door sizes that you want, and add to basket, then add any more JBK Doors™, or other items that you require. - The basket is at the Top-RHS of the page, in the Green Navigation-bar - very small! Click to check the ongoing price for your order. Payment - We can take Debit Card, BACS, Cash, Cheque or Credit Card payment online for JBK White Cottage Internal Doors. Approximate weights of JBK White Cottage Doors, with packaging are shown in Kg. Carrier Delivery of JB Kind Internal Doors is not possible. E. & O.E. see T&C - We do try to keep prices and specifi­cations of JBK White Cottage Doors correct, but mistakes can be made! Please let us us know if you do spot any errors - thanks.